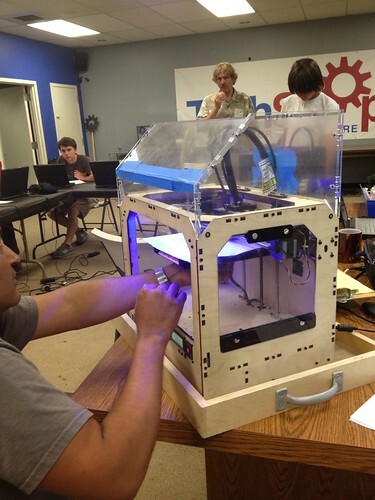 I wanted to know how 3D printers will impact corporations, so I took a class. 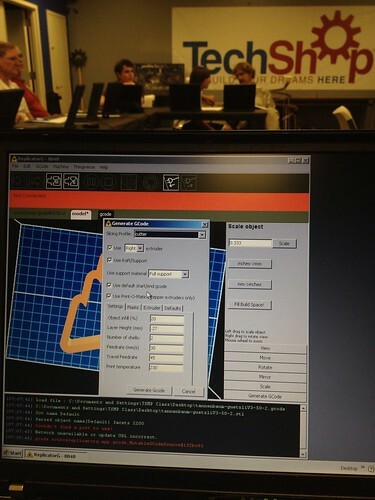 In the aim for further understanding the impact of the empowered customers to corporations, I took a class on 3D printing at my local Techshop, where regular folks can learn cutting edge skills. Previously. 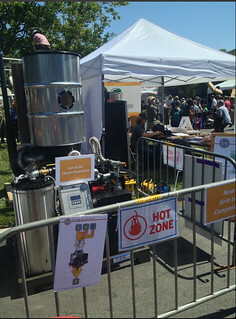 this spring, I visited Maker Faire where thousands of people who want to make their own products (rather than buy them from corporations) assemble to share, hone, and show off their skills. The big winner was the large pavilion of 3D printers, which I shared my findings. I’m also living the collaborative economy movement, I’ve reduced buying physical goods, and prefer to rent or get on-demand, and even allowed a stranger drive off in my family car. In all these examples, I’m trying to live and experience to understand, rather than just be a casual observer. I’ve found that there are three major movements in our direct view, some more obvious than others. The first is the social media movement. where the sharing of ideas and media have democratized information, spreading power to the crowd, to date most companies have joined in from marketing and customer care departments, but struggle to go further. The second movement is the collaborative economy, where people can share goods and services directly with each other –rather than buy them from corporations. The third movement, approaching quickly on the horizon, is the maker movement, where people can make their own goods and products, rather than buy at all. If you look carefully, the disruption increases in each movement, with some folks building their own cars. To couch my experience, I only took the 101 class, and I have much more to learn, but here’s my early experience. 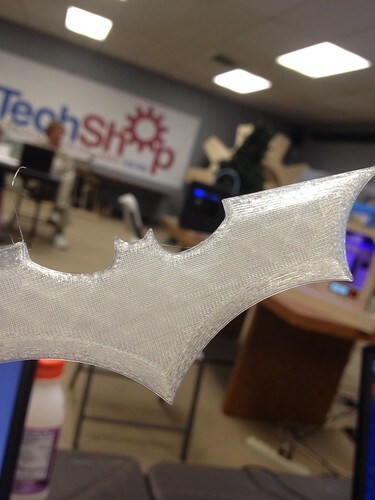 I attended this class with Vivian Wang, Kenny Lauer, and Korman R.
3D printers show great promise. These technologies have the ability to enable production and manufacturing anywhere, radically changing business logistics, power, and empowering those who use them. 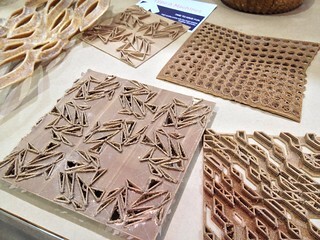 Some of the materials we saw printed were plastics, and biodegradable corn-based materials. There was even water-soluable materials that could be used as ‘filler’ to hold the model up while it was being printed. At a recent meeting of the minds at Stanford, we explored how these 3D printers could emerge at UPS locations, retail outlets, Kinko’s and then eventually move into garages, homes, and kitchens. My limited experience concluded a clunky experience. Maybe I’m just new to it, not techny enough, or didn’t have enough experience, but I found the overall setup of the 3D printing complicated and klunky. 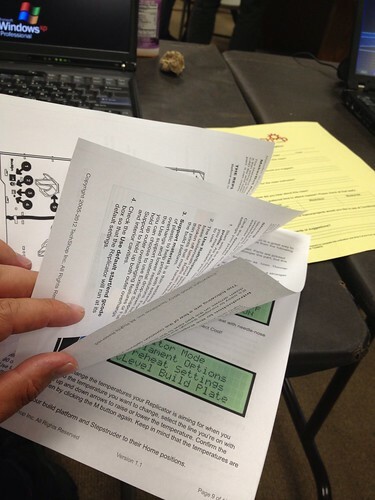 There were 12 pages of instructions we went through, including learning to use the unforgiving software, finding files online to use, configuring the printer, heating the plate, affixing the spool, using an SD card, and managing a build time that could be over an hour. I’m no luddite, but at the same time, I don’t want to over-hype this technology, it requires some learning, skill, craft as a proper hobbyist should. Visions of playing with dot matrix computers in elementary school came flooding back. They are on path to advance to advance to become consumer-ready. To go mainstream, this needs to move out of the hobbyist or prosumer hands and get into homes, this will require easy plug-and-play setup, access to files, ability to quickly manipulate and rapidly produce in a safe way. While Staples already sells an entry level 3D printer called “The Cube” it’s not clear how successful it is, with a single review (and Amazon only has 5 reviews). I imagine future versions are cloud based, with a thin client on a laptop, and a large easy to access marketplace of designs and a service marketplace of people who can help you customize for a fee. I’m meeting with some of the experts at Autodesk soon, who’ll show me some of the advanced setups, but in my limited experience, I think there’s still a ways to go for this new technology set. 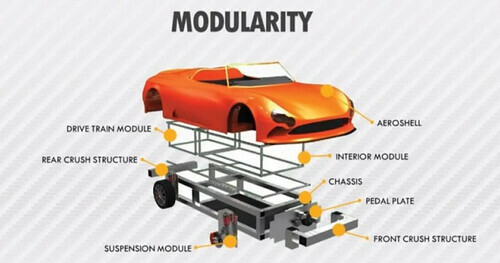 3D printings on horizon, but not dominating… yet. While maker movements have been around since people were in our earliers villages (with surnames like “Smith, Potter, Tanner”) these early skills gave way to mechanization of the industrial revolution. Now, with communities like Etsy, Quirky, and Shapeways who provide 3D printed items, there’s an opportunity to grow new businesses of highly personalized, on-demand products. Those who use these tools will have more power than others. Just as we saw corporations adopt the internet to regain communication power, and then adopt social media to regain reputation control, corporations will also need to integrate these on-demand production machines at work, at partner locations like retailers, and at homes. Brand that move in now can establish an ecosystem to ensure their designs are properly used, perhaps with license fees, a community and marketplace of designers who build together, and those that provide higher quality materials. Physical good companies that don’t get involved risk disruption. These machines often have 3D scanners that can scan any item, then replicate it with the printer, just like a facsimile machine did with paper. In the hands of massive production, these copied designs can quickly be shared online in new napster-like networks, enabling the crowd to build on top of them, improve them –without the corporation involved. Companies that make simple physical goods must learn how to enable this technology before it gets ahead of them. Above: First things first, getting to know the 12 page instruction sheet, I took copious notes to learn the new terms, phrases, file types, software applications, and printer units. Above: Behold the beautiful Makerbot Replicator 2, the center build plate is heated, and colors of printer indicate status, heat, and more. Above: The Replicator G software had many configuration fields for printing type, time, speed, quality, support and more. 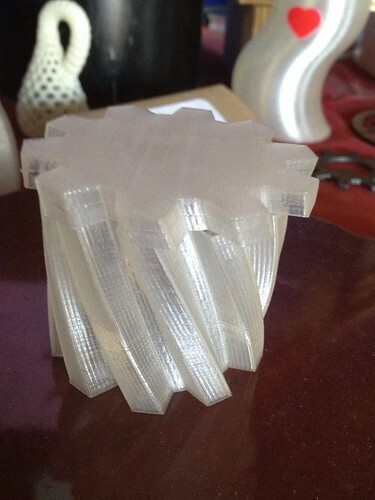 For a novice user, a class, and lots of experimentation is required for each print. 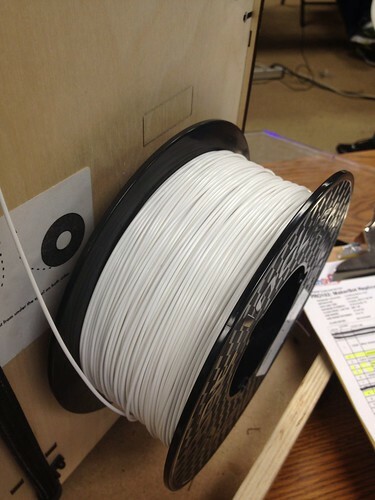 Above: A spool of 3D printing filament, this one, I believe is PLA, which is biodegradable as it’s corn-based, pricing ranges in $30 price area. The plastic material is ABS, which can be more durable but less flexible. 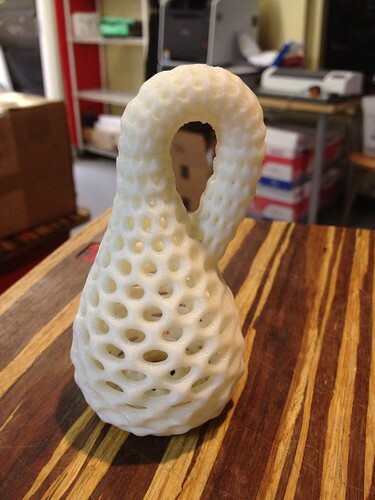 Each material prints with different attributes: from density, shrinkage, heat resistance, and stability. They come in thousands of colors, including glow-in-the-dark. 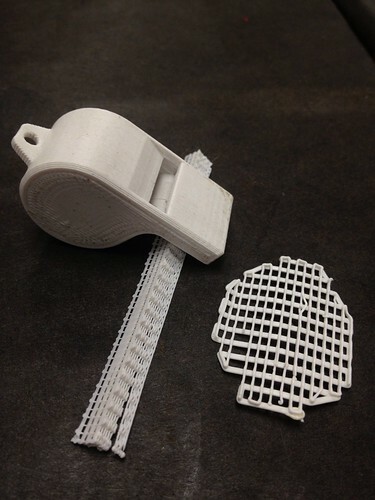 Above: A 3-D printed whistle (with a floating pea inside that was inserted mid-print). Below the whistle is ‘support’ which can be used to print complex structure and then is removed post-print with a knife, and a ‘raft’ which stabilizes advanced prints. Above: On display, an advanced model of a small intricate artifact was featured in the front of the shop. Above: Look closely the cross-hatch ‘Infill’ determines the quantity of the interior material used in this batwing, this one was set at 30%, I believe. These took about 18 minutes to print, but the expert instructor had it optimized, some builds could take hours. I hope you enjoyed learning about my experience as much as I enjoyed sharing it. It’s safe to say, I’m no expert, but will continue this journey of knowledge and wanted to share with you my early findings in my continued field research as the crowd continues to become more empowered. Love to hear your questions, thoughts, and comments below. I look forward to returning to TechShop to continue to learning and experiencing more. [Disruptions Summarized: 1) The Internet democratized knowledge, 2) Social Media empowered crowd, 3) Collaborative Economy endows crowd to buy once, share many, 4) the Maker Movement aims at buying from brands no more. Those involved in the maker movement are creating their own goods and products, using recycled materials, or improving on existing products. Some are selling the goods to each other, some trade, and some simply just use for their own personal usage. They use technology, skill, community, and massive fairs to connect and grow. So what are the disruptions to corporations and brands by the maker movement? Brands are disrupted by the Maker Movement. Several key industries are ripe for disruption. Energy can be disrupted from biomass converter creates energy from leaves, walnut shells, from a variety of solar solutions. Also, consumer goods, industrial goods, toys, media, consumer electronics, can be impacted from 3D printers, a call out section directly below. Additionally, even in dense living, food supply chain be impacted as home gardens and solutions become more available. The maker movement is accelerating. Having attended a few of these events, I was surprised by the sheer volume of attendees yesterday. As technology becomes mainstay for future generations who are all connected and learning to use technology, our next generation will be more adapt at creating –rather than consuming. In many ways, this is just a swing back to the old village ecosystem where every family had a key skill: smith, baker, cook, and beyond, Yet now, we’re not bound by geographic limitations of knowledge, goods, or materials. 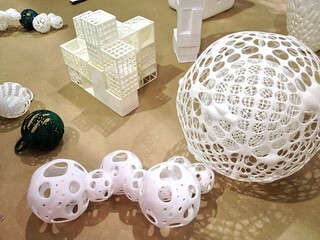 Investor and my key contact Vivian Wang shared with me that over 90 types of materials can be 3D printed. Beyond plastics, we witnessed items printed from concrete, salt, metals, and even wood. The wood was sawdust mixed with plastic to create fibers, which result in mostly sustainable product creation. Digital designs and CAD files are being shared using online networks, with all the associated issues DRM comes with. 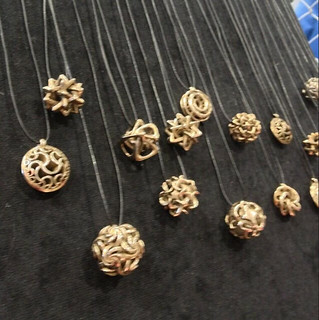 Some artisans sell designs or create custom. There were entire playsets printed 3D printers, furniture, stainless steel jewelry, and we saw Autodesk (an enabling brand) being a key sponsor. 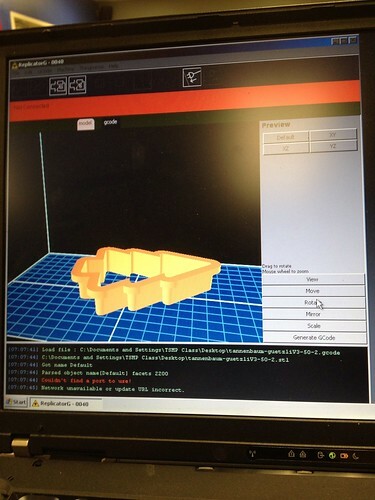 3D scanners can reverse engineer products and turn into CAD drawings. This means IP and copyright for company form function will be difficult to control and enforce. Opportunities abound: Brands can leverage the movement. Mindset change: become an enabler of this movement. 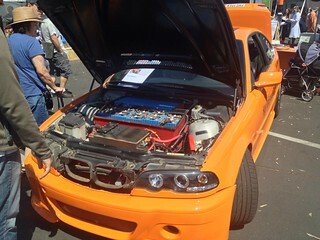 I spent time with RadioShack (thanks Cosmin) at the show, who showed they were enabling this movement. They were providing free training for soldering education and hands on work, and also hosted a popup store selling components and controllers like Arduino. In previous years, Google, Yahoo and other tech companies have sponsored booths to enable future creators and engineers. Build a marketplace that builds new products around you. While I’ll cover this more in depth on my upcoming report on the Collaborative Economy, brands can host a marketplace around them, enabling customers to buy and sell and make their future products on hosted communities. See how Shapeways enables 3d printed jewelery artists to host, sell, and offer products –now, imagine a branded website from your company. Offer customized products directly to consumers. 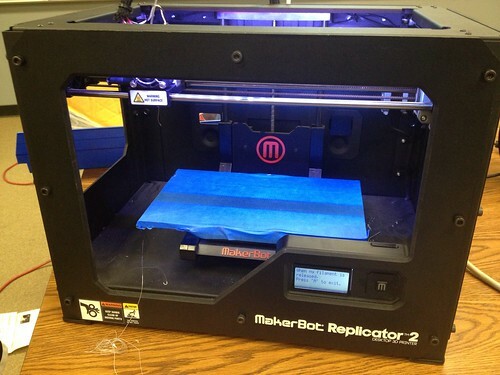 Rather than become disrupted as consumers purchase 3D printers, instead provide or host them. The future of Target, Walmart, Nordstrom, or Macy’s could be to host a showroom, then print out 3D products in near real time, or for immediate pickup. Imagine retail stores shifting from show and sell to show and make.